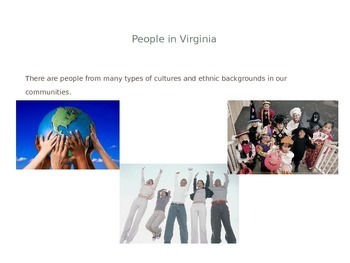 This powerpoint gives students a direct understanding of the diverse culture in Virginia. 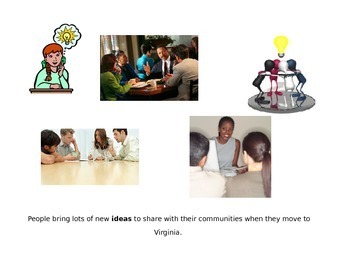 It can be edited for a specific county or region. 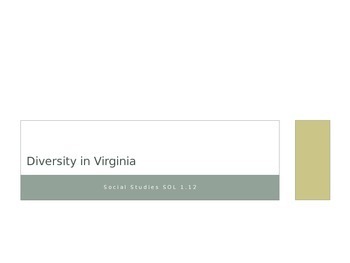 You can also edit the presentation to fit other states.